Nominal and effective yields to maturity change with bond purchase prices. Bond investors compare nominal and effective yields to analyze their returns from their buy date and the bond maturity date. Unless you buy a bond at its issue date, you'll seldom pay par -- the original price on its certificate, often from $1,000 to $10,000. 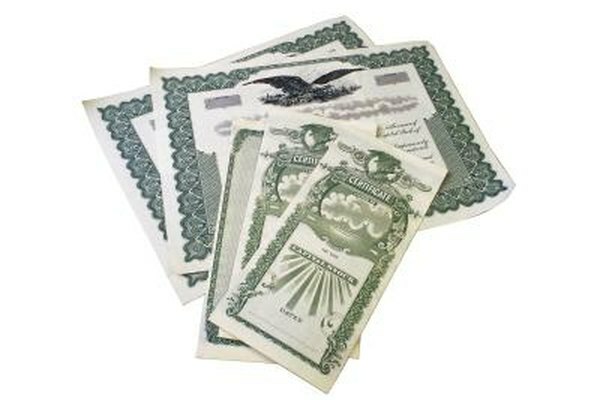 Bonds' coupons state the interest rate they pay, which will influence the price you pay. Market interest rates fluctuate, which affect your price to purchase or sell a bond, depending on their relationship, higher or lower, to prevailing market interest rates. Par value and face value are the same amount. This is what the bond issuer will pay you at the bond's maturity date. Unless you purchased the bond at its issue date, you'll probably pay a premium or buy at a discount. You'll still use the par or face value to calculate the nominal yield to maturity. Bond prices move up or down depending on their effective, not nominal, yield on most occasions. At maturity, you'll receive full face value and a final interest payment. Calculating a bond's nominal yield to maturity is simple. Take the coupon, promised interest rate, and multiply by the number of years until maturity. Should the bond have a coupon rate of 7 percent, a face value of $1,000 and mature in two years, calculate the nominal rate as follows. Multiply the coupon rate by the face value; then multiply by years to maturity. This equation equals the .07 coupon times $1,000 par value times 2, equaling $140. This is a 14 percent nominal yield to maturity. Effective yield calculations consider how often the bond pays interest during a year. Divide the coupon rate by the number of interest payments each year and add one. Then square the result. After that, subtract one. Assume you have a bond that pays 5 percent semiannually and a $1,000 par value. (.10 divided by 2) = .05 plus 1 = (1.05) squared minus 1 = .1025. Translated, the effective yield is 10.25 percent. The price you pay for a bond affects the yield. If you pay a premium, over face value, your yield to maturity will be lower, since the bond pays interest only on face value. Should you purchase a bond at a discount, less than face value, your yield to maturity will increase. This is true for both nominal and effective yields. For example, buying a $1,000 bond for $925 increases your yield to maturity, since the issuer will pay you $1,000 at the maturity date.